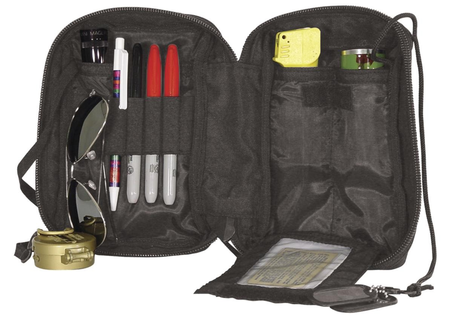 ✔ Holds I.D., pens, pencils, flashlight, electronics, medical supplies, passport, etc. (items shown not included). 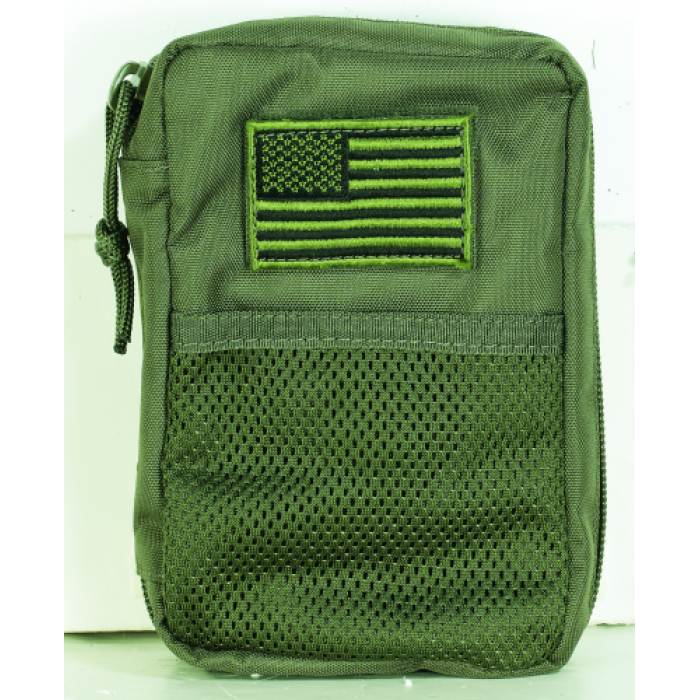 ✔ Universal straps for easy attachment to belt or pack. 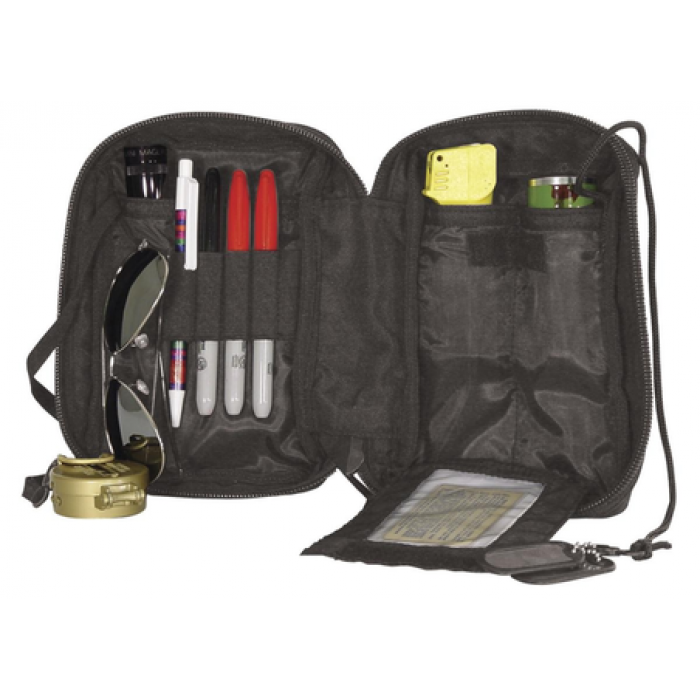 nine separate pockets/splenty, external mesh pocket and two inside lanyards with clips. 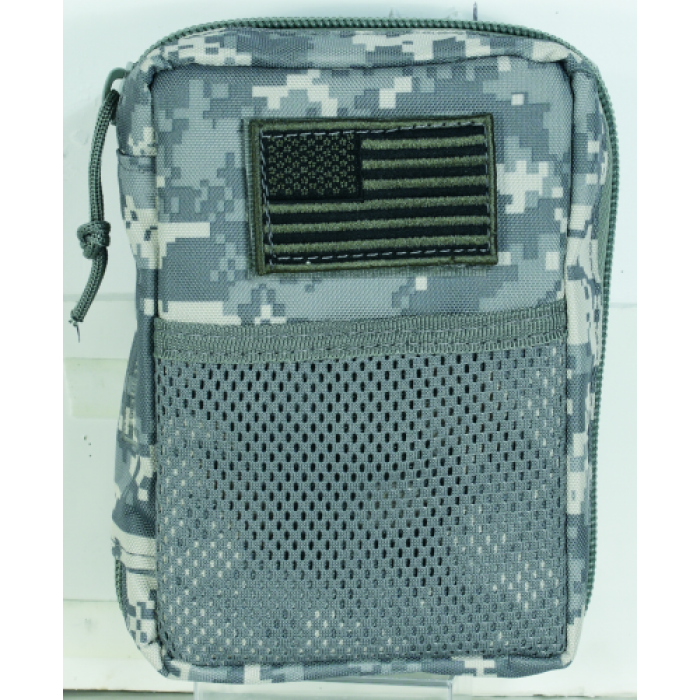 ✔ Full zip with pull and a hook-n-loop subdued U.S.A. flag patch.